The ridership was approximately 13, 000 on the first day of revenue operations and after completion of the two months of metro operations i.e. March 25, the ridership stood at approximately 17, 000 depicting an increase of almost 30 per cent, NMRC Executive Director P D Upadhyay said. 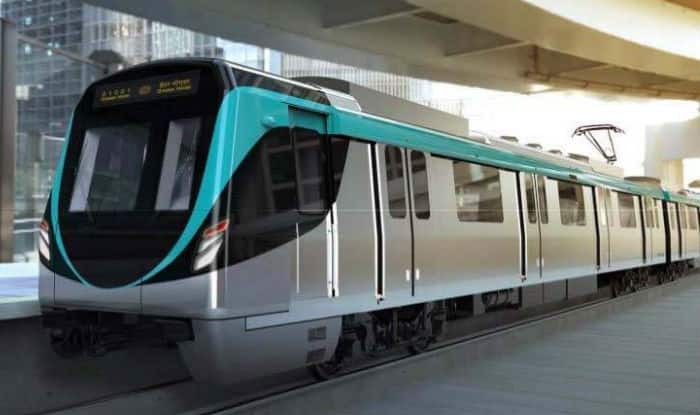 Noida: With 3.24 lakh passengers taking a ride on the Noida-Greater Noida metro during its second month of operation, the overall average daily ridership on the Aqua Line improved slightly to reach almost 11,000, officials said Tuesday. In total 6.48 lakh people have used the Aqua Line in the two months, its operator Noida Metro Rail Corporation (NMRC) said. With March 25 marking two months of the inauguration of the metro service, which connects Noida and Greater Noida, the NMRC released a data detailing ridership and revenue, among others. During the first month, the Aqua Line had witnessed 3.24 lakh passengers and an average daily ridership of 10,458 passengers. By the end of March 25, 6.48 lakh riders were added while the average daily ridership during the two months reached 10,991, the NMRC data stated. NMRC’s ridership increased almost 57 per cent in the month of March, he said in a statement. He said the NMRC’s revenue during the two months reached Rs 1.99 crore, up from Rs 1.02 crore at the end of the first month. A total 12,828 metro cards have been sold since day one, while 4,89,361 QR-coded tickets were also purchased during the period, the NMRC said. The NMRC touched the highest ridership of 17,164 on March 15, it said. Built for Rs 5,503 crore, the Aqua Line connects Noida and Greater via 21 stations spread over 29.7 km between the twin-cities in western Uttar Pradesh’s Gautam Buddh Nagar district. NMRC operates its trains from 6 AM to 10 PM from Monday to Saturday. On Sundays revenue hours begin from 8 AM and services are available till 10 PM. The NMRC said it is running 10 trains on this corridor, which make 163 trips a day. The frequency is 10 minutes during peak hours and 15 minutes during non-peak hours and Saturdays and Sundays. NMRC said it has maintained punctuality of 99.99 per cent since the first day of operations. The top 5 stations with the highest ridership are Sector 51, Sector 76, NSEZ, Knowledge Park II and Pari Chowk.